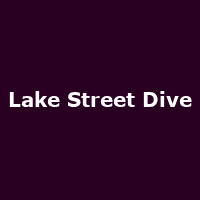 Lake Street Dive are an American jazz-pop outfit from Brooklyn, formed in 2004. The band is comprised of Rachael Price - vocals, Bridget Kearney - bass, Mike Calabrese - drums, Mike "McDuck" Olson - trumpet and guitar and Akie Bermiss - keyboards and vocals. They released their debut album, "In this episode" in 2006, followed by: "Promises, Promises" (2007), "Lake Street Dive" (2010), "Live at the Lizard Lounge (Video)" (2011), "Fun Machine" (2012), "Bad Self Portraits" (2014), "Side Pony" (2016), plus 2018's: "Free Yourself Up".